As an accredited MFMA (Maple Flooring Manufacturer’s Association) member, Northern Hardwood Company represents Connor Sports Flooring in Washington, Oregon, Idaho and Montana. Connor Sports Flooring is the leading manufacturer of maple hardwood courts and synthetic sports flooring in the United States. Connor Sports Flooring has designed and built more than 75,000 game courts in the United States and abroad. Connor Sports Flooring is the official surface of the NCAA® Final Four™ and the NCAA Men’s Collegiate and Women’s Division I volleyball championships and USA Volleyball National Team and Events. Our partnerships also include the National Basketball Association (NBA); Federation of International Basketball Associations (FIBA); the International Badminton Federation (IBF). for 50 years Northern Hardwood Company has proudly installed and maintained wood, synthetic and vinyl gym flooring; wood, synthetic and vinyl sports flooring; fitness room flooring, hardwood basketball courts, as well as other athletic flooring produced by Connor Sports Flooring. 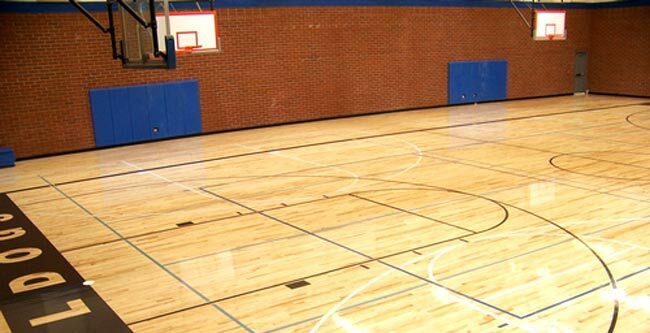 Our sports flooring projects include, but are not limited to gymnasiums, basketball courts, aerobic rooms, indoor tracks, weight rooms, racquetball courts, squash courts and dance floors.